first martyr, Blessed John Mazzucconi. In Poland, the UN returns to discussing a report about climate by the Caritas of the Pacific states. An ecological question coincides with the recognition of the bond of the indigenous peoples with land and water. The Whanganui River, in the northern part of New Zealand, is now recognized as a legal entity in the country. The practical significance of such a development remains largely to be determined, but the signal is clear: nature has the right to the same respect that humans have. However said right, is given to the country’s own advantage. The river in question, like many others on the planet, has died because of the poisons introduced by agricultural (pesticides), mining, and industrial activities in the area. The native Maori, as well as the animal and plant components of the ecosystem, lost an important source of sustenance and balance. A cooperation agreement between the government and local tribes now seeks to bring the river back to life. 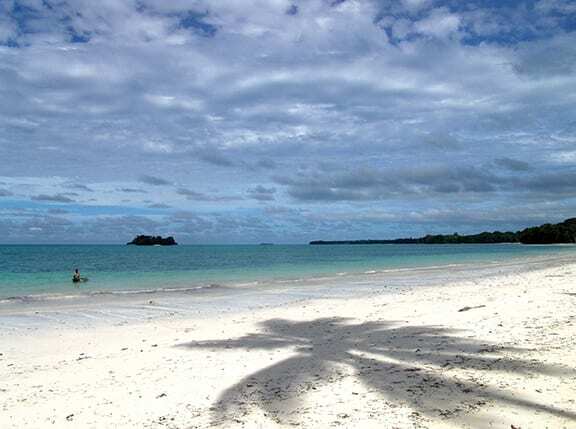 The ecological question in the Pacific is essentially this: “recognition of the ancient and deep bond of the indigenous peoples with the land, the waterways and the ocean that sustains them”. 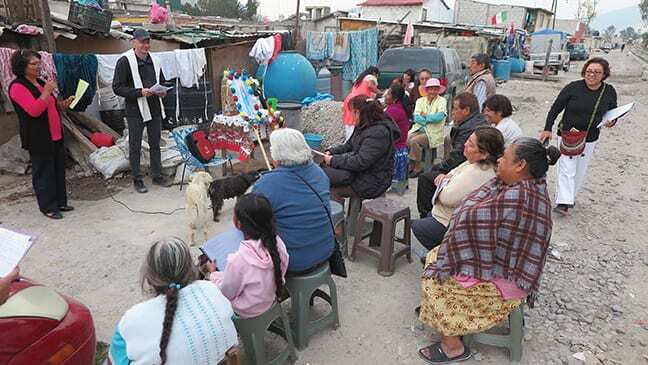 The fifth report on the situation in the Oceania environment Waters of Life, Oceans of Mercy was presented to the press by Caritas New Zealand on October 4th 2018, on the feast of Saint Francis of Assisi. Produced with the collaboration of colleagues from Tonga, Samoa, Papua New Guinea, and Australia. New Zealand researchers did not limit themselves to analyzing any studies carried out on the subject. Although they were not always distant from the interests of multinationals and governments aimed at the exploitation of resources; they collected the experiences and voices of the people in the most remote coasts and villages. They collected that of farmers and fishermen, of traditional cultural groups, of cyclone victims and of unexpected frosts, of social and pastoral workers, and of NGO’s active in these communities. The 2018 report gathers the worries and elements of crisis centered around five main points: rising ocean levels and coastal erosion; environmental impact on sources of water and food supply; meteorological catastrophes; mining extractions off the coast; and the need for funding for control, reduction and adaptation to climate change. The scientific contribution presented must be enriched by experience and by listening to the state of mind of the local populations, those more directly affected by the phenomena. result of the climate changes to the island nations of the Pacific. The condition and the future of the weakest subjects are the first concern of the interventions and the campaigns, the disabled, women and young people. The instrument of interpretation and of decision-making concerning this reality is dialogue. “Talanoa” a term widely used in the Pacific, means community discussion and discernment, an honest confrontation in order to build better relations and mutual understanding. 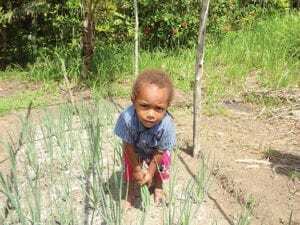 The future of the environment in the Pacific also depends on the behavior of the communities that live there and on political leaders, not just on the action of international organizations and companies. 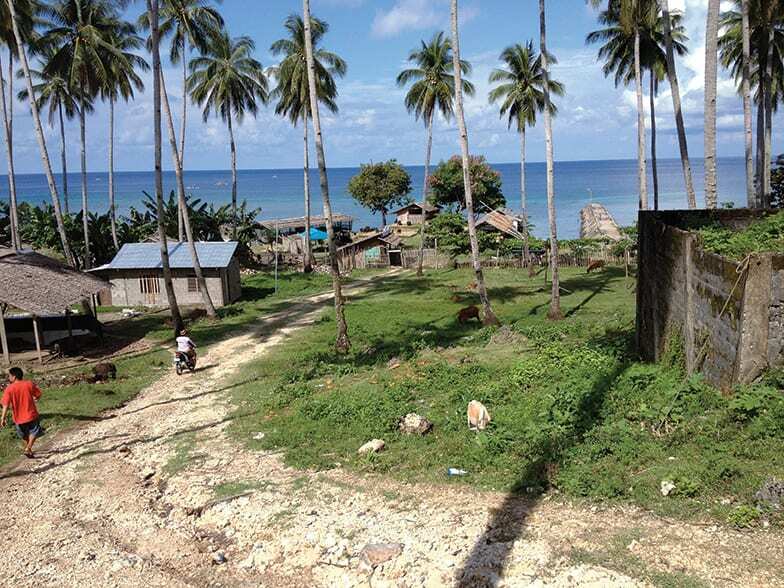 Caritas New Zealand has been working for some time with the communities of the Carteret Islands off the Autonomous Region of Bougainville, whose process of independence from Papua New Guinea will almost certainly be ratified by the referendum of June 2019. The Carterets are one of the most obvious signs of the waters rising in the Pacific Ocean (7.8 inches from 1900, likely 11.8 more by 2050) forcing the locals to move further inland, or even to other, larger islands or another country. The drawback is not exclusively economic, and the psychological trauma is not solely from the difficulty of adapting to a new environment and to new neighborhoods. In the Pacific, ancestral land is everything: it is part of physical and spiritual life; losing ancestral land is like losing a significant part of the body. Land can never be bought or sold as it is in the West. The earth can only be given in temporary and respectful use, following a precise agreement between the two parties; it can never permanently change hands from ancestral caretakers to new owners. It is difficult and painful to see the ground of their ancestors disappear under salty, ocean waters. Just as difficult and uncertain, as it is to have to live in a place that belongs to others, and will never be theirs. If climate change and the rise of the seas in the Pacific are due to human activities, few are aware of the suffering that this behavior produces in the coastal communities of the Pacific. The community is even more alarmed now, having suddenly become aware that, for about 20 years, governments have been issuing licenses for the mining of the seabed. The Nautilus Minerals Company of Canada, off the island of New Ireland, in Papua New Guinea, will carry out the first project but there are dozens of licenses already granted in various countries. New Zealand has already decided not to issue new ones, but it has not yet blocked explorations and sample-material gathering for the study of the chemical components of the soil. It is easy to imagine the immense resources of precious minerals below the sea floor. No data has yet been elaborated (or at least it has not yet been made public) about the probable consequences on the flora and fauna of the ocean, nor on the threat to clear waters due to the coastal populations’ dependence on fish resources and other industrial activities of fish processing. Civil society, churches and non-governmental organizations are now raising their voices against the hypothesis of submarine mining exploitation in the Pacific. Perhaps it will delay these activities, but as of yet it is not averting them. Caritas alternatively proposes the recovery of precious minerals from electronic devices now thrown away in large quantities, introducing an interesting concept: urban mining. Human activities, as the report points out, have a strong impact on the quality of food and water, which can be easily contaminated; modern agriculture and mines are certainly among the main causes. In Papua New Guinea there is fear that the great Sepik River will be contaminated with the Frieda Mine beginning operations within the territory, and upstream of the river and its tributaries. The same fate has already affected the River Fly, on the southern coast of the country, now dead as a result of the extraction of copper and gold. In rivers and seas intensive plantations, production of biofuels, climatic vagaries, low rainfall, devastating typhoons, excessive heat, or sudden frosts all threatens the sufficient and inexpensive production of food on earth. Caritas operators and researchers, note that, at least in these cases, the lessons of the past and an effort of preparation and preventive storage of products have greatly reduced the suffering and the number of victims. So it was for the typhoon Gita, on the island of Tonga last February. Climate change will have devastating consequences in the Pacific and we will only be able to “adapt” if it fails, as it probably will, to meet the goal of the Paris Agreement of December 2015 to contain the rise in the planet’s temperature to 2.7 degrees Fahrenheit. Climate control, as we know, is also a financial question. Caritas denounces that if the whole world were behaving like Australia, regarding production activities and carbon dioxide emissions, the planet’s temperature would rise by 5-6 degrees in the coming decades. The level of life and wealth of the developed world is incompatible with the protection of nature and the physical safety of the most exposed populations. 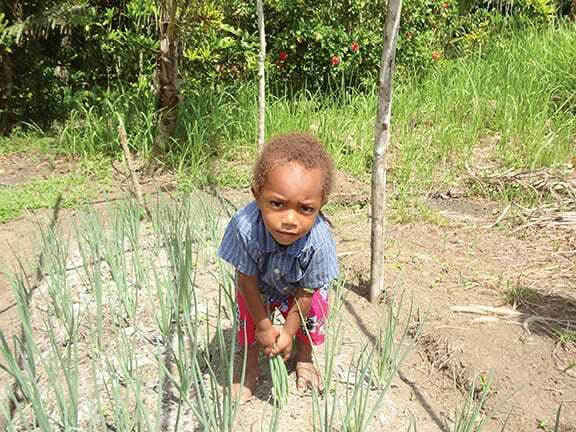 Caritas considers the resources put in place by the international community to be totally inadequate to mitigate or to eliminate the negative consequences that modern human activity has on the most vulnerable in the Pacific. Experts predict that this part of the planet will suffer the most serious consequences of the raising temperature of earth, despite having contributed the least to the whole problem. For the 24th session of the United Nations Conference on Climate Change (COP 4), in Poland from the 3rd to the 14th of December, the Caritas of the Pacific calls for greater efforts by individual countries for the goal of containment at a 2.7 degrees Fahrenheit increase in the temperature of the earth’s atmosphere. They also ask that more resources, economic and otherwise, for the Islands-States and the most vulnerable nations to prepare for the inevitable changes and compensate for the damage. A financial commitment to the environment compatible with the United Nations sustainable development programs is needed, specifically: support for women, girls and disabled people affected by production processes and related climate changes. Caritas Australia asks its government, in addition to a greater financial commitment to the most fragile and most affected communities of its neighboring Pacific States, to reduce carbon dioxide emissions by 45-65% by 2030 compared to the 2005 levels, and the complete abandonment of fossil fuels by 2050. Concrete and credible programs are needed to even attempt to challenge the productive and financial practice of the last two centuries.